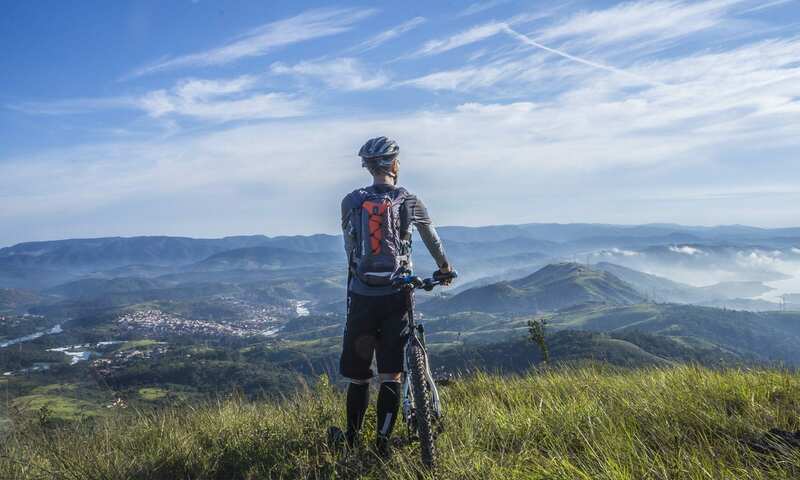 Tackling those steep hills, winding paths and difficult, uneven terrain are just some of the challenges mountain bikers face. Having the best mountain bike shoes will make all the difference to your experience. 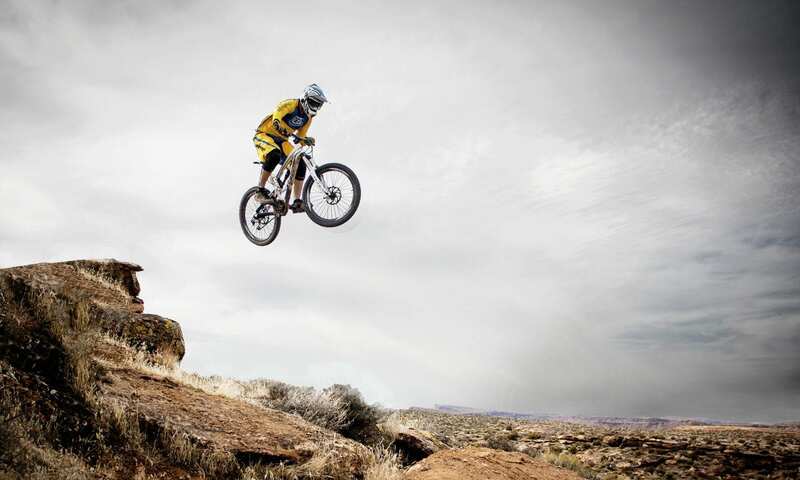 Mounting biking has become one of the fastest growing sports in the world. 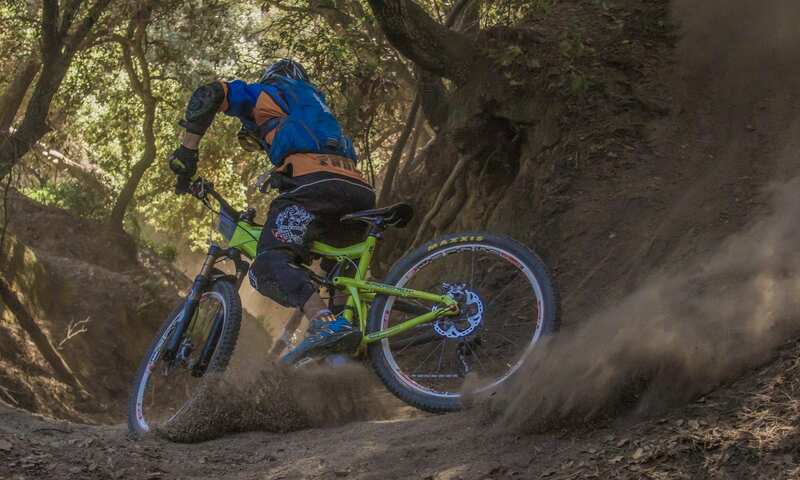 The sport of mountain biking originated in California and in the 1970’s and 1980’s road bicycle companies started to manufacture bikes that were designed specifically designed for the sport. Looking for LX shoes? See the top shoes for Lacrosse right here. Along with specialized 2fo bikes, came specialized 2fo shoes. Although you can ride using any shoe, any person who rides regularly will know the benefits you can get from using shoes specifically designed for this type of riding these types of shoe offer. When looking for the perfect mountain bike shoe you need to consider a number of things including the material the shoe is made from, the cleat style it has and the design of the shoe. Who Makes wide Mountain Bike Shoes? How to Install Cleats on Mountain Bike Shoes? We have done thorough research to find the best of the mountain bike shoes on the market for you. We have gone through a number of different sites reading manufacturers specs, we have also gone through reviews from customers and have come up with a list of the ten best shoes available to you today. 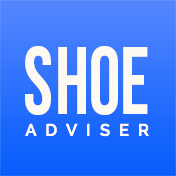 We have also provided a comprehensive buyers guide & beginners guide to help you understand which shoe would be suited to your specific shoe needs. Mountain Bike riding is a fast growing highly competitive sport. It is challenging and varied from cross country riding or XC racing, downhill, and trails and enduro, to all mountain, slopestyle or freeriding. Then there is trials and dirt jumping too. 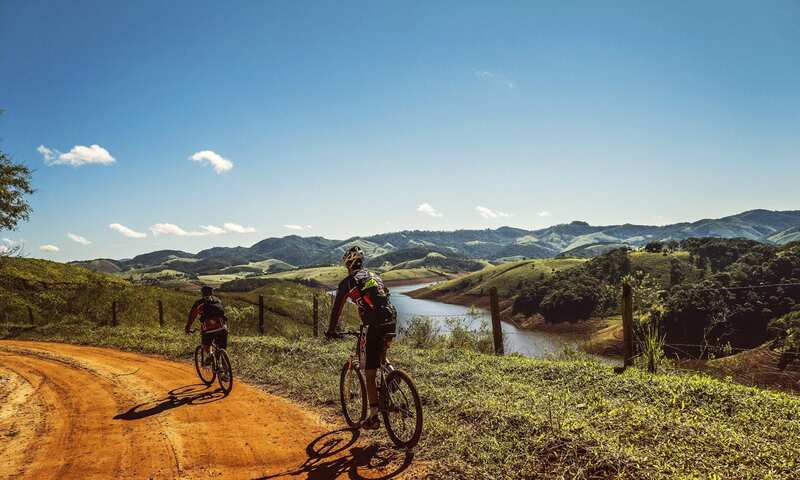 For those who are looking for a competitive sport, mountain biking is the ultimate challenge that can be taken to the highest levels at the Olympics Mountain biking became a part of the Olympic family in 1996 at the Atlanta Games in the United States. Mountain biking is also a great leisure activity enjoyed by thousands around the globe. Manufacturers of road bikes started to develop the MTB in the ‘70’s and ‘80’s and the engineering improved from there to what you get today. MTB’s have come a long way since that time and so have the shoes that you wear. It is true that you can wear just about any performance shoes when riding, however, when you have a specifically designed, well-constructed mountain bike shoe, you will get a lot more enjoyment out of the sport and be able to get a lot more out of your riding experience. When you ride, you will have three points of contact with your bike, your backside, hands and most importantly your feet. Often you will find that you will be standing on your bike pedals efficiently as you navigate the country trails and this will drop your contact points to two. Your feet are the most crucial of these, and therefore getting a pair of mountain bike shoes that are going to enhance your riding is definitely worth some time and consideration. There are a number of aspects of mountain bike shoes that are important. The material they are made from and their general construction, including the cleat style they use and of course, just like the bikes themselves, there are those that are more suited to female riders than males and vice versa. Let’s take a look at some of the more important aspects now to give you a little more insight as to what to look for when deciding which mountain bike shoe would be best suited to you. The construction of the shoe is very important. A mountain bike shoe needs to provide you with the ability to pedal efficiently with power and control, but it also needs to give you the comfort levels you need to be able to walk on rugged uneven trails and enduro. There are often times when you will have to push your bike over the more difficult terrain and this is where the mountain bike shoe comes into its own. The cleats of a mountain bike shoe are usually recessed into the soles. This makes them easier to walk in than standard cycling shoes. Mountain bike shoes are not only popular with mountain bikers, but are also the biking shoe of choice for touring, indoor cycling and of course casual bike riders the world over. The design and construction of the top mountain bike shoes feature stiff soles, the soles stiffness is important, lightweight materials, superb ankle, toe and heel protection and even waterproof liners to keep mud, water, and other debris out of the shoe as you brave the dusty or wet and muddy trails. Most of the mountain bike shoes on the market offer a lacing system that has laces packed tightly away in a sheath to prevent any drivetrain interference. They can also offer Velcro closures or cam straps with buckles that enable you to adjust the closure and ensure a great fit. When it comes to the construction of the sole, most are rubber but you can also get a carbon sole, with lugs that enable you to get great traction on or off the bike. Some will even come with spikes that are removable, this is for when you have to push through soft sand or loose ground, providing that extra traction. Most mountain bikes use the clipless mountain bike shoe or 2-hole cleat system. These are the SPD, Crankbrothers and Time Styles. It is important that you match your chosen mountain bike performance shoes with your clipless pedal system on the bike. There are some mountain bike shoes that will not accept cleats at all. These are those that are specifically used with platform pedals with optional toe clips. The different styles of bike pedals will determine what type of mountain bike shoe you are going to be using. Clipless pedals came onto the mountain biking scene in the 1980’s. The reason for these clipless pedals was clear when mountain biking you will often need to put your foot down for extra support when riding difficult trails. With the standard clip in cleats, you could not easily do this and when you fell, you fell bike and all. These are generally a larger platformed pedal that offers your foot great support. They feature pins to help you grip them better and although mountain bike shoes are recommended, you do not need to have specialized shoes to use them. The clipless pedals, however, do need mountain bike performance shoes to be able to accept the cleat. These types of MTB shoes are designed with a flat sole that will allow you to get the most contact with your pedal. The rubber on the soles of flat pedal mountain bike shoes are a lot stickier than normal shoes and will be a bit stiffer in the sole that your average athletic shoe. Most of your flat pedal MTB shoes will feature lace closures, however, there are a few with Velcro straps or Boa laces. These types of shoes are used for XC racing and DH or downhill racing. They are specifically designed and constructed for particular purposes. They have a stiff sole, a lot stiffer than your flat mountain bike pedal shoes and they require a cleat to be able to mount your bike. The material used on the shank of these shoes varies from nylon for the more entry-level shoes to carbon fiber for the higher end competitive shoes. Having extremely stiff soles is great for riding, however when you have to push your bike they can be a little uncomfortable, therefore when doing downhill they are perfect but when taking on cross country rides you will need to check how much time you may have to spend off your bike before making your choice of shoe. Downhill shoes will have a lot less tread on their soles, this is because it is not often you will be off your bike. The clipless version of these types of shoes is almost exactly the same as flat pedal shoes with a place for the cleat to fit. Cross country shoes, on the other hand, will have a lot more flexible sole lugs. These types of shoes are specifically designed for enduro or trail riding. The closure systems on clipless shoes can be Velcro or laces or even Boa dials, however, the high-end competitive shoes will use the ratchet strap and buckle closure. Closure mechanisms on clipless shoes encompass everything from laces to straps to Boa dials. Entry-level mountain bike shoes tend to get two or three velcro straps, while higher-end models usually add a ratcheting strap and buckle or Boa dials. The fit of your mountain bike shoe is paramount. Not only will the fit vary depending on your shoe size and width, but also your gender. Ladies tend to have narrower and smaller feet than men and therefore require a shoe that is designed for their specific shoe needs. Another thing to consider is if you have any problems with your feet. Do you have pressure points you need to consider, and if so, does the shoe you have selected rub against your foot and cause you discomfort. Trying on your shoe and walking around with it before purchasing is always a good idea. When you are taking on long trails, the last thing you will need is an MTB that does not fit perfectly offering you the support and comfort you need. On these long rides, even the smallest of discomfort can be magnified and compounded and make your ride a nasty experience. When you consider which mountain bike shoe to select you to need to pay attention to the kind of riding you like to do. 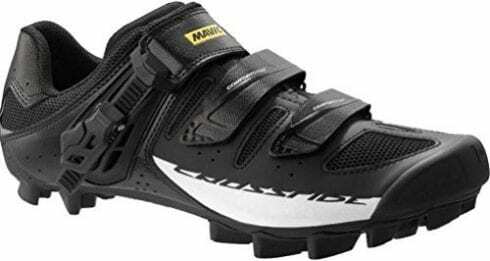 If you are a serious competitor in DH or XC then a clipless mountain bike shoe would probably serve you very well. However, if you are a casual rider who just loves to ride country trails then having a flat shoe that is also great for walking in will be the best bet. Selecting the right fit and cleat system as well as one that accommodates your shape and shoe size of the foot is important to be able to enjoy your ride. Here we take a look at the top pick mountain bike shoes available. We look at the features they offer in terms of construction, materials used and the design of the shoe itself. Selecting the perfect shoe is important and we provide the information to make that as easy as possible. 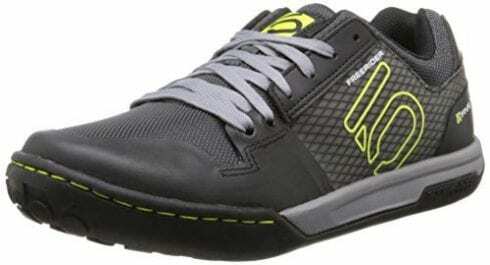 Rated as one of the 5 best MTB shoes on the market the Five Ten Freerider Contact is lightweight, durable and will allow you to not only ride comfortably but also walk comfortably. The Five Ten Freerider features Stealth Phantom, a high-friction and non-marking rubber that is used to make the sole of the shoe. The stealth rubber shoe is durable with a fantastic grip for those times you need to get off your bike and walk. The upper material is a lightweight synthetic fabric which is also abrasion resistant. This is one of the lightest of all of the Five Ten shoes available on the market. The midsole is compression-molded EVA. The Mi6 rubber soles are designed to give you the best pedal connection. The tread on the soles allow you to engage the pedal pins and the Freerider Contacts are designed to allow for foot adjustment when riding. This is important as it makes it easier to readjust your foot when climbing and you need to pedal under the arch, or when manualing or bunny hopping and you need to have your toes all the way back on the pedal, and when cornering you can place your foot on the edge of the pedal. These are the perfect shoes for those using flat pedals. The outsole has a good tread, this is important for when you have to get off and push the bike over difficult areas where riding is not possible. The stiffness of the sole gives your foot the support it needs to get you through even the most difficult of rides. The Mi6 rubber offers not only stiffness but also some cushioning which dampens the vibrations and allows you to weather the big hits in comfort. The fit of the shoe is designed to support and give comfort to your foot during your ride. The soles have enough grip for when you need to push and not ride. Stiff yet flexible this is one of the best five Ten shoes for mountain biking on the market and will be sure to give you the boost you need when taking on the difficult trails. Check out the Five Ten impact VXI shoes for other weather conditions. Giro is a great name in the world of mountain bike shoes, and the Empire VR90 is the top of the range. 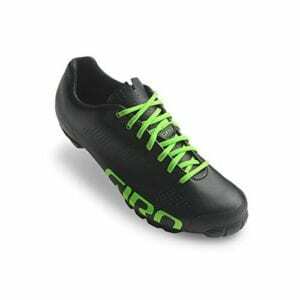 The Giro MTB shoes are some of the best, they not only allow you to ride with confidence, but also push when needed. The shoe is constructed to give you the best riding experience. The upper material is Teijin microfiber which is lightweight and flexible. The microfiber upper is incredibly comfortable and also very breathable, and will not stretch, this means that the fit will remain the same throughout its lifetime. The lace closure on the Giro is what makes this mountain bike shoe unique and offer a few extra inches of suspension travel. The footbed of the shoe features SuperNatural Fit Kit with an X-Static antimicrobial fiber which makes the shoe incredibly comfortable. The insoles allow for three inserts to cater for people who have low, medium or high arches. The Easton EC90 ACC carbon fiber sole provides the kind of high traction needed for not only riding but also for those time when you are pushing your bike. The sole is stiff, yet flexible and lightweight. The cleat compatibility of the shoe is the two-hole mountain bike. The Vibram is sturdy and the Mont outsole offers exceptional grip, this combination also protects the carbon sole and give you a lot more comfortable when you are walking. A high-end mountain bike shoe and one of the best bike shoes on the market. It not only offers you the stiffness to be able to offer the support needed when riding, but also the grip and flexibility needed for when you are walking and pushing your bike. The lace closure of the shoe makes it unique among the high-end shoes. 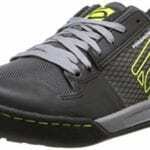 Offering a great fit with three optional inserts, along with a lightweight carbon fiber sole makes this one of the top rated mountain bike shoes on the market today. Be sure to check out the Giro Privateer as an alternative. 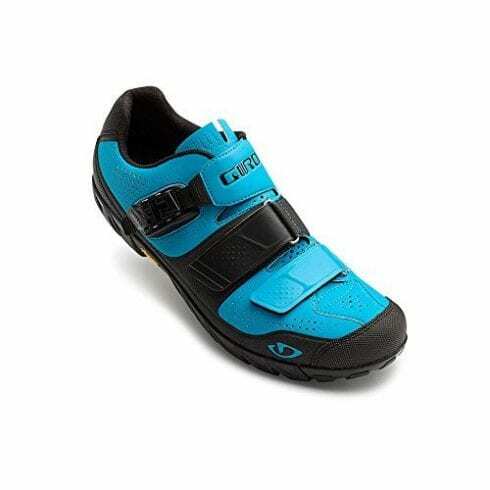 This Giro mountain bike shoe is one of the best shoes for flat pedals. With outsoles that provide the best grip, excellent fit, and comfortable midsoles, and a breathable, flexible upper this is definitely one of the best Giro mountain bike shoes for its price on the market. The shoe is constructed of breathable microfiber and mesh, this material makes it supple and flexible, it is also water-resistance. The SPD compatible shank offers a cleat zone which provides the stiffness you require. The molded EVA footbed and midsole offers the support and cushioning, with medium arch support which provides you the comfort you need for those longer rides. The upper of the shoe is designed to be non-stretch and offers a precise fit during the lifetime of the shoe. The last of the shoe allows it to fit snugly but does not bind, crowd or cause discomfort. The lace closure of the shoe features hidden lace pockets which makes it compatible with SPD clipless pedals as well as flat pedals and toe clips with straps. The outsole of the shoe is made from Vibram rubber which offers great grip for flat pedals. They offer enough flexibility and high traction for when you are engaging in off-the-bike pursuits. The molded EVA midsole offers cushioning and comfort which is important for those long backcountry rides. One of the best MTB shoes in its price range on the market. The mountain bike shoe offers great flexibility with enough stiffness to allow for strong pedaling. 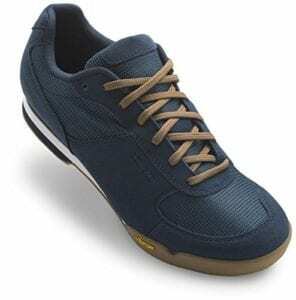 It has a molded EVA midsole that offers the comfort needed for the longer rides and the lace closure ensures the shoe fits snugly and securely on the foot. Compatible with pedals that are clipless, flat and toe clips with straps. Offering superb comfort, great grip and exceptional functionality on and off the bike the Pearl iZUMi is one of the best shoes for mountain biking. Feature packed and great looking it offers a great feel and fit. The upper of these mountain bike SPD compatible shoes are made from synthetic materials that are breathable and lightweight. The construction of the shoe is low cut, this makes them lightweight, fast fit and gives them a great feel. The nylon plate is composite fiber injected and this offers great power transfer allowing you to pedal hard. The lace-up closure keeps the shoe securely on your foot at all times and makes the shoe very versatile, great for on and off the bike. 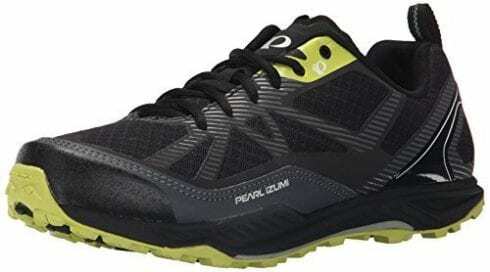 The outsole of the Pearl iZUMi XProject Pro features carbon rubber lugs. These offer not only great traction for when you have to push your bike through those difficult parts of your trail, but also make the shoe ultra-durable. The midsoles of the shoe provide for superb comfort with an EVA X-Alp midsole. This not only offers to cushion for your foot but also enhances the transfer of power when pedalling with the Pearl iZUMi XProject Pro shoes. The SPD Pedals shoes enable you to use these with most standard pedals. One of the best-rated mountain bike shoes and top SPD mountain bike shoes they will not only offer you the power transfer you need to pedal hard, but also provide the comfort and support you need when you get to the portions of the trail where you will have to push your bike. Durable with superb traction and a lace closure to keep your foot securely in the shoe, the lightweight and low cut mountain bike shoe is one of the best MTB trail shoes around. When you are considering what mountain bike shoe to purchase you need to consider a Shimano. One of the best-known brands on the market, Shimano MTB shoes are well known for their durability and comfort. The construction of the Shimano MTB shoe is superb with a cross X strap that relieves the tension on the top of the foot when pushing off and a precise fit that increases pedal efficiency. The cup insole conforms to a variety of foot shapes making it one of the most comfortable on the market. Dynalast technology ensures that the fit of the shoe is perfect and ensures power transfer when pedaling. The durable and stretch resistant synthetic leather of the uppers incorporates a mesh panel that greatly improves ventilation. The toe is reinforced to not only add protection but also extend the shoe's life. The insole is designed to stabilize the heel of the shoe and with the 2 hook & loop straps and ratchet buckle, you can get the perfect fit every time. The outsole features lugs that are designed to shed mud as you ride. It incorporates an arch pad to allow for pedal stability and the polyamide sole with reinforced glass fiber offers an optional spike mount. The sole is stiff enough to give you the support you need, but also flexible to allow for efficiency when walking. The springy sections of the sole and midsole are designed to make the running or walking sections of your trail a lot easier to tackle. The lugs and additional toe spikes offer some of the best traction on a mountain bike shoe. One of the best shoes for mountain bike riding on the market, it is designed to allow you to ride and walk with equal comfort. It is stiff yet flexible and the synthetic leather upper with mesh panels is breathable and extremely lightweight. Designed to fit any foot size and shape, you will not find a better clipless MTB shoe around. Another excellent offering from Shimano and one of the best shoes for mountain bikers to use. Lightweight, durable and featuring technology designed to give you power when pedaling and comfort when having to walk. 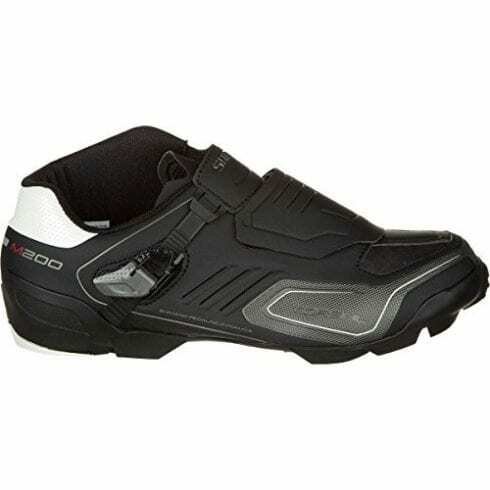 The uppers of these superb mountain bike shoes are synthetic and allow for excellent breathability. Designed and constructed to give trail riders the edge, the “Torbal” technology used offers a great connection to the pedal and allows for superb control over your bike. The arch pad that is found beneath the shoe gives the stability and grip needed when your unclipped mountain bike shoe and pedal meet. For the ultimate stability when pedaling hard the Shimano features a stiff rubber pedal contact block. The raised sole protects the toe and allows for some aggressive riding. The heels design of the shoe ensures that the heel is protected and the collar design with a high inside section protects the rider’s ankle for any impacts during riding. The SPD cleat will accommodate either race or trail riding and the speed lace closure of the shoe provides a great fit for a wide variety of different foot shapes and sizes. The midsole offers “Torbal" balance with a carbon-reinforcement that allows for rigidity when pedaling. The flowmotion that this technology offers in the midsole of the shoe makes it perfect for technical downhill rides. These enduro shoes accommodate speed on climbs and control on downhills. The rubber sole of the shoe is raised to provide exceptional traction and also protects and supports the aggressive rider. One of the best endure mountain bike shoes and designed to allow for precision riding in the technical sections as well as excellent control on downhill sections, this is one of the best cross-country mountain bike shoes we have reviewed. 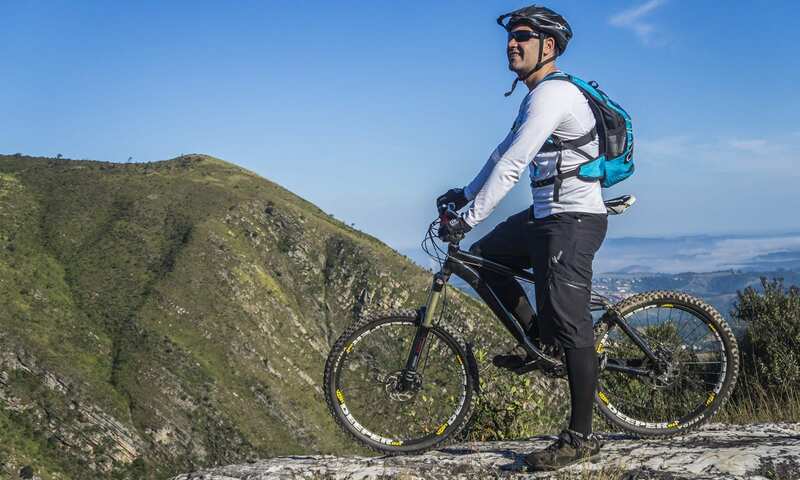 Lightweight, durable and offering a host of features designed to offer comfort, support and control you will find most mountain biking shoes reviews online will contain this Shimano in its top ten choices. 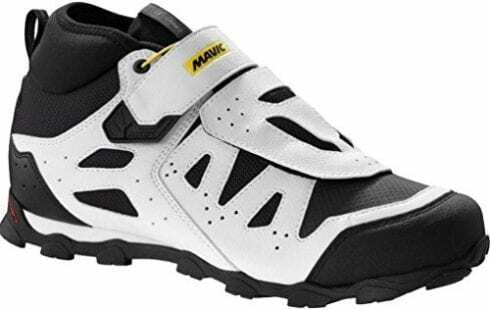 Mavic is another well-known name in the mountain bike riding community, and this offering from them offers superb protection, comfort, durability and fit, even if you are a rider with slightly wider feet. The construction of the shoe is designed to give you ultimate power transfer when pedaling. The Contragrip of the lugged soles offers superb traction both on and off the bike. It features a comfort strap with a quick lace cover to keep your foot securely in the shoe. The Ergo Fit OrthoLite insole of this great mountain bike shoe offers to cushion and padding where you need it most. Mid-ankle protection, constructed from neoprene, not only protects your ankle but also helps to keep the dirt from getting into your mountain bike shoe when walking or riding. The heel and toe protection on the shoe adds to the level of comfort. The shoe is constructed to be extremely lightweight and durable. One of the best enduro racing mountain bike shoes on the market. The fit of the shoe is designed to accommodate wider feet as well. The outsole of the shoe is an energy grip trail outsole that offers you a stiff plate to help to get the best power transfer when peddling. The Contragrip sole is studded to offer the best traction you can get, giving you excellent grip on the pedals and on the ground when having to push the bike over the difficult areas. The sole is stiff yet flexible to provide comfort when walking. The EVA midsole adds to the exceptional comfort levels of the mountain bike shoe. Giro Terraduro Mid MTB shoes are created to provide the mountain bike rider with the comfort, support, durability, and grip both on and off the bike that they require to take on this challenging sport. This Giro feature packed to give you the edge on the trails. The construction of theGiro Terraduro Mid shoe is superb. It offers a precision fit for almost any kind of foot and the design is such that it will not bind or restrict the foot in any way. The forefoot of the shoe is extremely flexible to make walking more comfortable. The water-sealed cleat opening ensures your foot stays dry even in the wettest conditions. The construction of the shoe offers a nylon shank that offers great power transfer when pedaling. The toe box of the shoe is reinforced to prevents scrapes and protect for high impacts. The design of the shoe features a mid-top which supports your ankle, while still remaining breathable. The DWR-treated Airaprene scree also prevents any dirt and debris from entering the shoe. The lace closure of the shoe offers a close-to-custom fit and the cover or shroud prevents any incidents with the drivetrain. The Evofiber microfiber material used in contraction makes these mountain bike shoes lightweight and breathable. The Vibram lugged outsole offers the kind of grip you need both on and off the bike. This design makes these MTB shoes perfect for enduro, all-terrain mountain trails, and even wet terrains. The EVA molded footbed offers medium arch support and the Aegis antimicrobial treatment prevents any odors. The Sole is stiff yet flexible to allow for any kind of riding or walking in comfort. A high quality, highly breathable and flexible mountain bike shoe that will allow you to tackle any adventure on your bike, from enduro to trail riding and downhill. They are constructed to offer superb comfort, with toe, heel and ankle protection making them extremely durable as well. This is definitely one of the lightest mountain bike shoes that are packed with features. Another great offering from Mavic for the biker who needs the best fit, best comfort and superb power transfer for a solid performance on any MTB bike trail. Packed with features that enhance your performance both on and off the bike. The construction of the shoe is such that is offers you the ability to walk and ride in comfort. It offers an ERGO ratchet closure to provide a precision fit for any size and shape of the foot. Toe area of the shoe is designed to be extra-large to prevent any binding or discomfort. The cleat system is SPD standard that is the standard two-hole cleat system and is compatible with most mountain bike pedals, it is also perfect for indoor trainers. The Ergo Fit 3D+ Ortholite insole of the shoe has an ergonomic design and fit that offers the support and cushioning to ensure high comfort levels. The insole offers breathability, is lightweight and has anti-bacterial qualities. The tongue of the shoe is pre-shaped and the EVA foam is designed to ensure wearing comfort. The lace shield with single strap ensures that there can be no interference with the drivetrain from the laces. The shoe offers a highly durable, lightweight construction for all types of mountain bike riding. The EVA midsole is designed with comfort on and off the bike in mind. The asymmetrically raised collar is padded to offer great protection. Contragrip offers superb traction from the sole of the shoe on all kinds of terrain when walking, as well as on the bike when riding. The sole of the shoe is stiff enough for power transfer and flexible enough to allow for comfortable walking. It should be no surprise to find another Shimano mountain bike shoe on our list of the top MTB shoes. This one is one of the best downhill and all-mountain shoes and is equally good for BMX riders. The upper of these mountain bike shoes are constructed from artificial leather which provides for a non-stretch, durable and lightweight mountain bike shoe. Strategic perforations in the shoe allow for breathability. Featuring a padded ankle collar which protects the foot and the armored lace protect works in unison with it to protect the toe, especially in competitive riding. The construction is such that it is extremely durable with protection from dirt and debris as well as a Velcro strap to ensure that your foot remains secure without exerting pressure on the arches. The shank plate is fiberglass-bolstered for ultimate sole pressure and the toe box has a broadness that allows for most shapes and sizes of feet. The lace closure is secure and allows for easy walking. The outsole of the Shimano is designed for the best grip with Vibram rubber lugs. The tread on these great mountain bike shoes ensures that you get the best traction on and off the bike and they are easy to walk and push with. The top-grip allows for you to get great contact with the pedals without clipping and transfer the power efficiently for when you need to tackle difficult climbs. Whether you enjoy all-mountain riding or the thrills of downhill racing the Shimano has what you need. These mountain bike shoes offer exceptional grip on and off the bike, protection for ankles and toes and are constructed to accommodate most foot size and shapes. They are lightweight, breathable and extremely durable. One of the best downhill mountain bike shoes on the market and well worth your consideration. A mountain bike shoe is a shoe that is designed to be used when you take on the great outdoors on your bike. They are often abbreviated to MTB and are specifically for off-road riding. They differ from standard cycling shoes as they take into consideration that you may have to do a lot of walking in them when you push your bike over terrain impossible to ride over. This means they have stiff yet flexible soles, offer super ankle, toe and heel support and foot protection and have great traction for both on and off the bike use. They are designed to give you greater performance when riding in rough terrain and not on smooth roads. Most of the shoes that you will find in your bike store are standard. They will have the same cleat adjustments and the same shoe size in the shoebox. If you are somebody that has wide feet, these shoes are not going to work for you. There are a few mountain bike shoe manufacturers that cater for people who have wider than normal feet. They design their shoebox to accommodate wider feet to ensure your toes get the room they need. One such shoe we had a look at in our mountain bike shoe reviews and that is the Shimano AM9 SH-M200 MTB shoe. Mountain bike shoe cleats are recessed into the soles of the shoe to allow for the rider to walk when he needs to push his bike over the more difficult terrain. They generally use the 2-hole cleat system which is SPD, Crank Brothers or Time style of cleats. Sit down somewhere stable and let your feet hand down. This will allow you to match the way you will be sitting on your bike when riding. Put on your MTB shoes. Check where the ball of your foot is situated, that is where the big toe and your foot meet. Mark this position with a pen or pencil. You will need to grease threads of the cleat bolts. Then you will thread the bolts into your mountain bike shoe, ensure that you use the washers that are included in your pack. You will put your cleats on ensuring that the cleat bolts are situated about 5 or 10mm behind the mark you made on your sole. Be sure to orientate your cleat at the angle that your footfalls, the cleat should point towards your big toe. Once you have done one shoe, repeat the process on the second shoe and adjust as necessary. Be sure to go for a short ride and then make the adjustments you may need to make depending on how your feet feel when you ride. Keep making small adjustments until you are comfortable with the feel of mountain bike shoe when clipped into the mountain bike pedal. When you are considering which mountain bike shoe to select you need to consider what type of riding you like to do, be it enduro, downhill, trail or just a leisurely ride in the country. 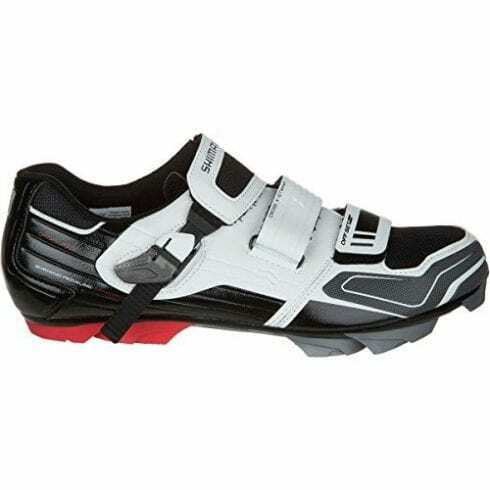 Look for the lightest mountain bike shoe as this help to keep your energy levels up when pedaling. Comfort, support, and durability are important factors as well as those shoes that provide breathability and the ability to keep out any dirt and debris from the shoe. Ankle, toe and heel protection also features that you need to consider.Consider the fit and the manner in which the shoe closes, be it with lace or Velcro strips, as this will make a difference to the feel of the shoe and its comfort levels. The top mountain bike shoes for flat pedals (ride flats), endure shoes, and SPD shoes are all ones that you should consider. In our mountain bike reviews, we have covered all the different types of mountain bike shoes that are available and all of them offer the features you need to lift your performance both on and off the bike. No one believes they will fall but most of you who mountain bike will fall at some time or the other. When falling off your bike it is important to know how to fall to prevent damage. Our expert tip on falling is to keep your arms in and avoid the instinct to brace your fall. This will prevent you from breaking your wrist or even your collarbone when falling. An interesting fact is that Buffalo Soldiers in Montana were the first to use mountain bikes. Back in 1896, they modified their bikes for off-road use to cycle from Montana to Yellowstone. This is the first known examples of mountain bikes. Mountain biking can be very ecological as this study shows. We hope you enjoyed our article on "The 10 Best Mountain Bike Shoes", if so, please share and rate it.